Has your vision become blurry or clouded, interfering with your daily life? 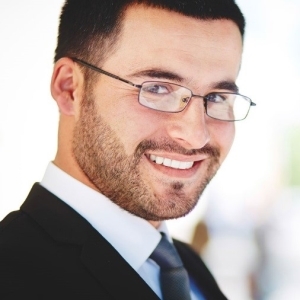 Or, are you tired of the hassle of wearing glasses or contact lenses to see clearly? 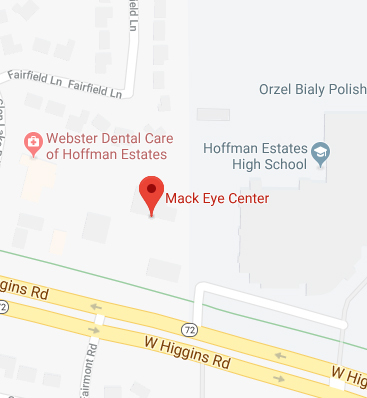 At Mack Eye Center, our trained and experienced team of ophthalmologists and optometrists are dedicated to restoring crisp, clear vision for patients in the Hoffman Estates and Chicago areas. We offer a range of vision correction procedures to correct common vision problems caused by refractive errors (e.g., farsightedness, nearsightedness, astigmatism). LASIK is the most commonly performed refractive surgery here at our practice in Hoffman Estates. During LASIK, your eye surgeon creates a small incision in the cornea with a handheld blade or a laser, and then reshapes the cornea so that it refracts light properly, resulting in clearer vision. LASIK surgery may also use wavefront technology, which uses computer imaging to provide precise measurements of the eye’s structure in order to guide the surgeon during surgery. LASEK uses a fine blade to lift the outer layer of the cornea and then uses a laser to reshape the cornea so it can refract light properly. Patients with thin corneas are typically ineligible for LASIK. PRK is an alternative procedure for these patients. The procedure reshapes the cornea by delivering a beam of ultraviolet laser light onto the surface of the cornea. EpiLasik involves separating a thin top layer from the cornea and then reshaping the cornea so that it refracts light correctly. A soft contact lens may be temporarily used during the healing process. PIOLs are thin, durable lenses implanted at the edge of the cornea and behind the pupil of the eye. PIOLs function much the way contact lenses do; however, these lenses are permanently implanted into the eyes. Unlike other refractive surgeries, CK does not involve using a laser. Instead, the cornea is reshaped by using a handheld probe to deliver radio waves. The procedure is commonly used to correct mild hyperopia and help people with presbyopia reduce their need for reading glasses. At Mack Eye Center, we pride ourselves in using only the latest, most advanced technology. These procedures are safe and effective methods for correcting refractive errors. The best way to find out which procedure can best enhance your vision is to schedule a consultation with one of our trusted eye doctors. During your consultation, your eye doctor will examine your eyes, discuss your needs with you and explain the benefits and limitations of each procedure to determine which one can achieve the best vision results. Contact us today by calling (847) 755-9393.